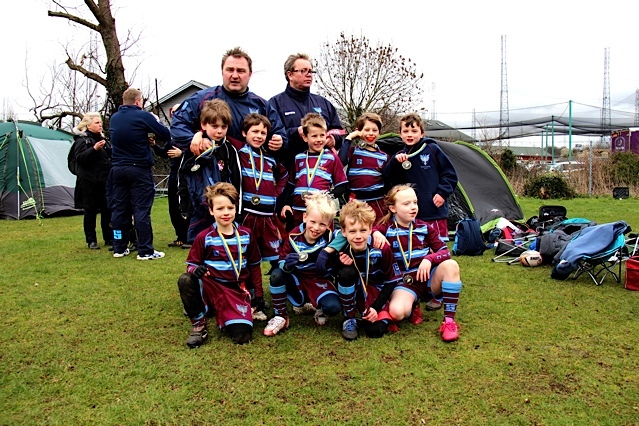 U8 Development Festival at Old Emmanuel (2 March): great effort and a win over Rosslyn Park, too! Great start to what was to be a great day of rugby. Ned stormed through from kickoff to get the try fest started…from the outset it was clear the boys were here to play expansive rugby with some great passing and support all the way through the first half….Sonny Try!….Ned Try! and then a great run (again) from Sonny meant it was 4-2 at half time…..the boys were here not to be messed with! Not sure who was more tense…the players or the parents supporting, but it was clear this was a game we had to win….It started badly with Rosslyn over for a quick try followed by another quick try …No…..it couldn’t happen again….next thing the lads had 7 tags in a row (i counted 9 but the ref seemed to miss 2)…what we need was a little magic, bang - Super Hans weaving his way through 1-2! One quick try to Rosslyn, followed by a quick Sonny try meant it was 2-3 going into half time. It must be said the pace of this game was well off the previous game, and many of the parents had to take a deep breath or two at the refereeing. It was not really the quality of his decisions, but more how he felt it necessary to lecture, talk, lecture, talk, stop the flow, talk , lecture etc to a bunch of kids who just wanted to get on with it…Ian had had enough and nearly got yellow carded for some vary constructive backchat…but it seems he got the message across on Rosslyn dropping tags on the ground and the game seemed to swing in our favour…after a quick turnover in the 2nd Half - from some good defensive pressure by all players - bang! another Wilf try meaning 3-3…. After some more defensive play (and referee lectures) in the dying minutes of the game Joseph got the ball and put his foot down and at some graceful pace scored the match winner 4-3 Wimbledon and with that the Rosslyn Park hoodoo lifted! A great comeback from 2-0 down! Tipped as the team to beat we went in with good spirit and despite some great tagging were 1-0 down within minutes….in keeping with the spirit of the day it didn’t take long for the boys to respond with Flynn bursting through some good defence to take the scores level. 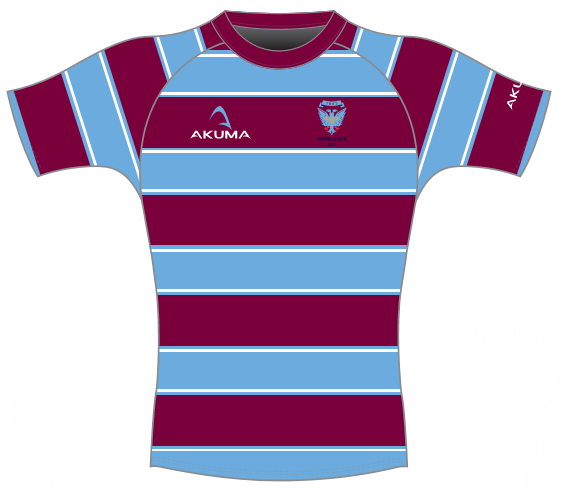 Following a quick dazzling display of Ned “snake hips” crossing line with another quality try, after some good defensive play Ben ran the length of the field past about 4 defenders to score a truly great try (with a very proud dad on the touch line!)! At this point it was becoming clear that Ned “Snake Hips” Delo was there for business and following some good play passed to Super Hans who majestically weaved his way through twice for two great finishing tries in a row.….5-4 final score. phew. done. All 3 games won! Despite the excitement of making the Semi’s it was a slow start and the boys were a little cold and took a while to get some momentum and we were 2-0 down in the first few minutes….Not to be outplayed Ned scored to take the score line to 1 - 2 in favour of Barnes…the game then opened up a little and despite 4 quick tries from Flynn, in a corner he marked as his own, we were still two points behind at 5-7 down. The last 3 minutes were great, we got turnover ball about 3/4 times, Flynn scoring again (the genes from his good looking, talented father clearly coursing in his veins ;-)), yet another 7 tag mammoth effort from the boys…it just wasn’t to be….they just couldn’t get the last point and lost a bravely fought game 6-7 down. Ned’s all round great play and captaincy, combined with some great running support play (both tagging and passing) from Mhairi & Oliver, and some really handsome tries from Sonny, Joseph, Ben, Wilf, Hans and Flynn. Oh …and the tent survived.